The Chicago White Sox will be without the MLB leader in home runs, after they placed Jose Abreu on the disabled list with an ankle injury. The rookie from Cuba has powered his way to the top of rankings and given fantasy baseball owners more value than they ever could have asked for when they drafted him, on average, around the 100th pick of draft back in spring training. 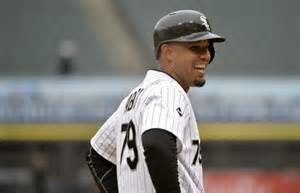 Abreu is hitting .260 with 15 home runs and 42 RBI but does has 50 strikeouts to just 10 base on balls. Old timer Paul Konerko will see regular playing time with Abreu out.